Continental Tire the Americas, LLC issued a recall notice on its ContiAttack, ContiSportAttack, and ContiRaceAttack motorcycle tires. SUMMARY: The subject tires may experience a separation between the tread, belt, and carcass resulting in a loss of tire inflation pressure. 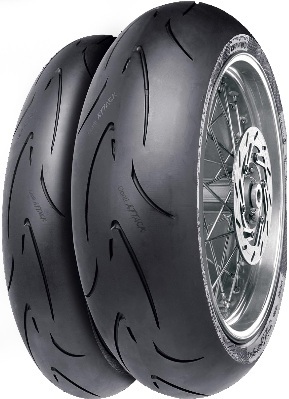 CONSEQUENCE: A loss of tire inflation could increase the risk of a motorcycle crash. REMEDY: Continental will notify owners, and dealers will replace the subject tires with new tires, free of charge. The manufacturer has not yet provided a notification schedule. Owners may contact Continental customer service at 1-800-847-3349.